The development of MSM custom learning programs is done in close cooperation and partnership with your organization. 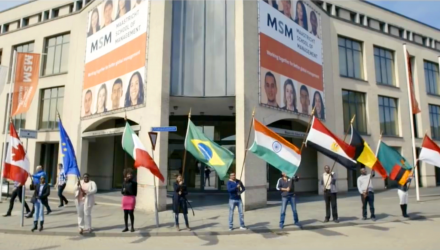 For the development and delivery of each tailor made training MSM appoints a dedicated program manager as first point of contact for your organization that will closely work with you and guide you through all phases of the process. The training development process typically starts with an institutional and organizational analysis identifying gaps in capacity, performance, effectiveness, efficiency, flexibility or legitimacy. The training needs assessment than identifies competencies, knowledge and skills required to overcome the identified gaps. The rationale of the custom training program is described based on these analyses and assessment. The rationale of the program indicates the output of the program, the target group participants for the training program and the learning objectives of the training program. 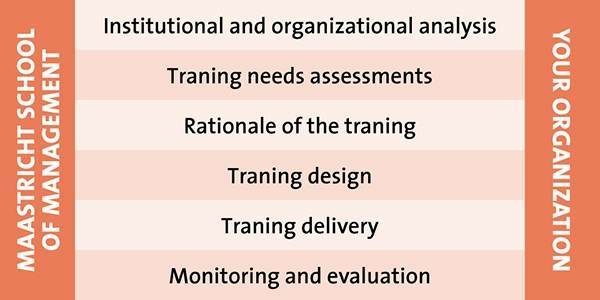 The training design can take on various formats in line with training objectives, participants’ characteristics and available budget resources. Training design is done in close interaction between your organization, the MSM program manager and the MSM trainer(s). Our training designs are practice oriented, knowledge based and grounded in principles of adult learning. MSM's experienced trainers delivering the training have a sound knowledge base that they are able to translate and customize to the practical situation in your organization. Also, our trainers are experienced in working with international participants. Monitoring and evaluation of the training is done on a continuous basis during the training delivery allowing for minor adjustments in the program. At the end, each training and training session is extensively evaluated and evaluations are discussed with your organization.